Answering Jehovah’s Witnesses with Questions is easy when you kn0w the right questions. As the late great Dr. Walter Martin was fond of saying, “The average Jehovah’s Witness can twist the average Christian into a theological pretzel in less than a minute.” Now you can show the Jehovah’s Witnesses the error of their ways not by arguing doctrine, but by simply asking the right questions. 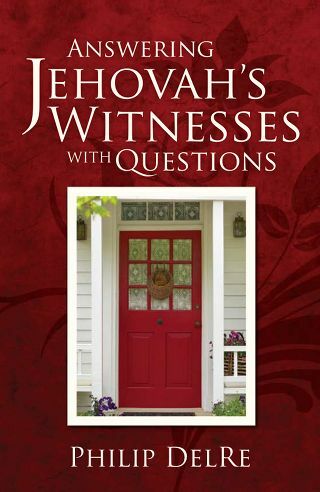 This book will teach you what questions to ask just like Jesus did with the Pharisees! It stops their mouths every time. I just read your booklet on Jehovah’s Witnesses. It is the best resource I have found to refute their false doctrine. I have never seen anything worded better. Your argument is indisputable. I am a former national speaker for the Jehovah’s Witnesses.